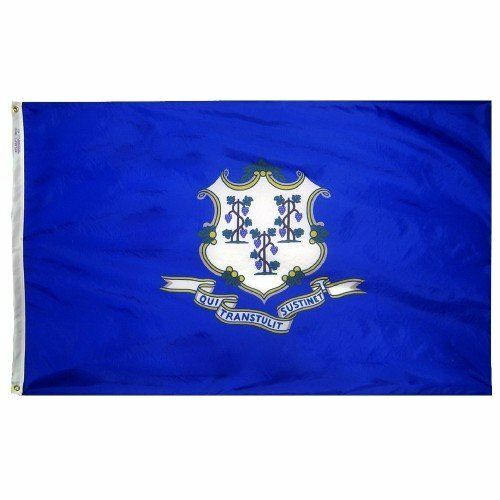 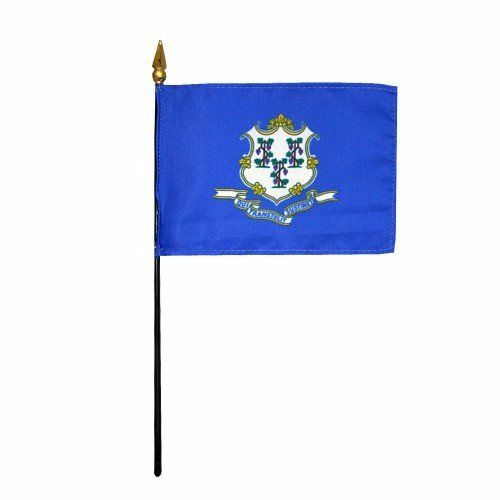 AmericanFlags.com is proud to carry Connecticut State Flags in a variety of materials, and styles, in sizes ranging from 4 IN X 6 IN to 12 FT X 18 FT. All of our Connecticut flags meet official specifications, are on sale right now and are ready for immediate shipping to your door. 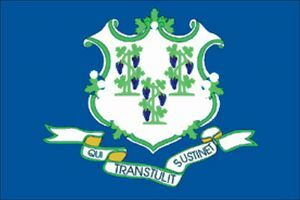 A trio of grapevines, each bearing three bunches of purple grapes, appears in the center of an ornamental white shield that is set against the azure blue background of the Connecticut state flag. 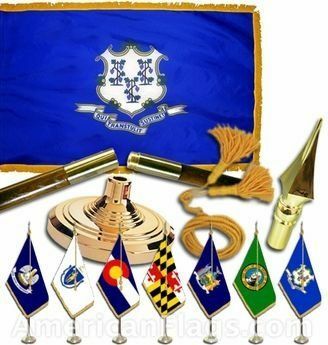 Outlined in gold and silver, the shield is embellished by white oak leaves and acorns. 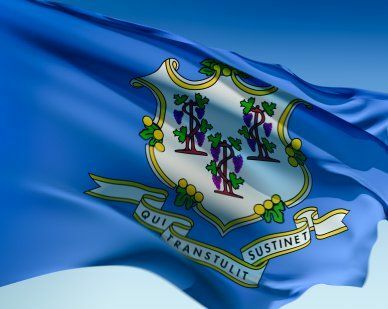 Some believe that the number of supported grape vines represents three colonies, New Haven, Saybrook and Connecticut (Hartford), which merged as "Connecticut" by 1665. 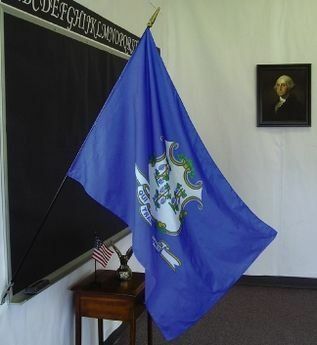 The Latin phrase Qui Transtulit Sustinet appears beneath the shield and translates to, "He who transplanted continues to sustain" or, "He who transplanted still sustains."